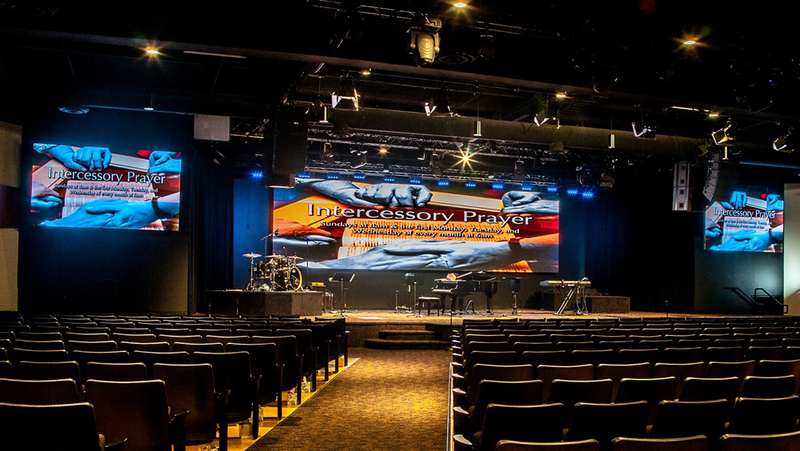 In His Presence church in Woodland Hills, California, has always brought a dynamic media element into their church services but has upped the visual quality recently with high resolution LED video panels from Elation Professional. 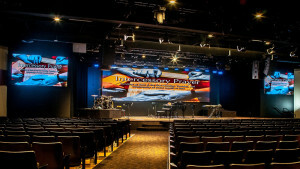 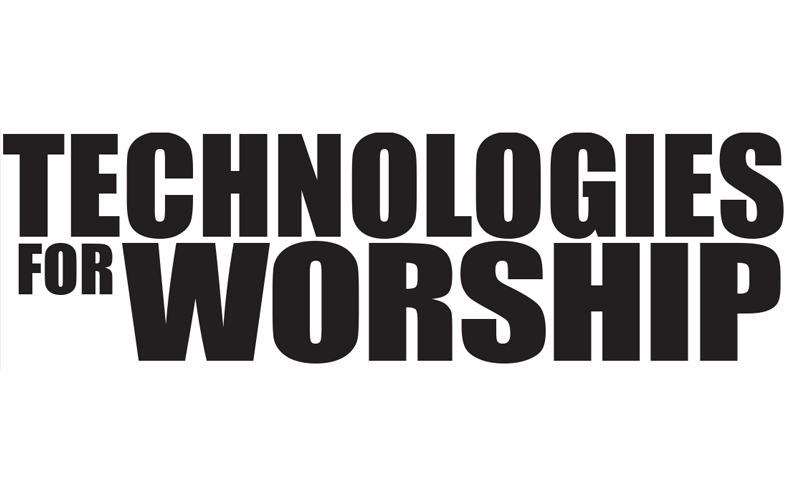 In 2012, an installation of 56 Elation EPV762 LED video panels added high resolution graphics possibilities to their 1000-capacity auditorium, and more recently a large center screen made up of 90 EZ6 high resolution LED video panels has been added to replace their video projection system. 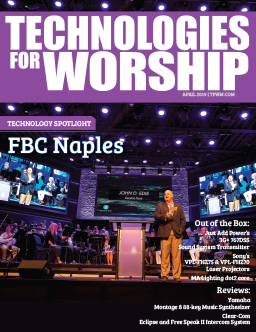 Originally positioned as one center screen, the EPV762 panels were split into a 7×4 configuration on each side of the stage with the new EZ6 panels taking center stage as an 18×5 panel backdrop. 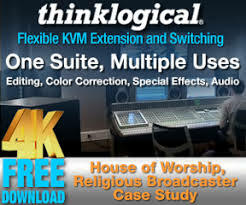 The EZ6 panels were supplied to the church by Guitar Center Professional of Sherman Oaks, California.